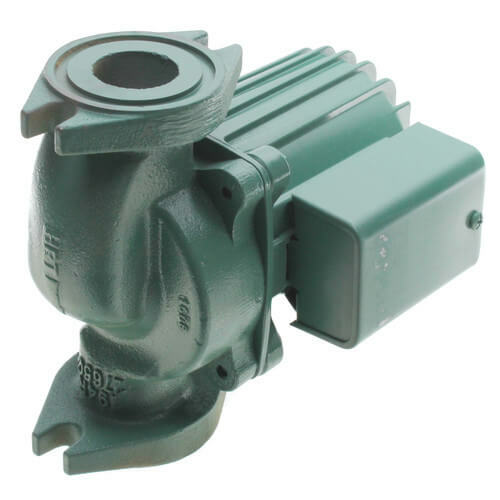 Cast Iron Taco 0010-F3-1IFC Circulator Pump with an Integral Flow Check (IFC) is designed to reduce installation costs when using Taco 0010 circulators. The bulit-in IFC increases the flow performance when compared to regular in-line check valve. Taco 0010-F3-1IFC model can be used for medium head, medium/higher flow residential or light commercial applications such as hydronic heating, radiant floor heating, and hydro-air fan coils. Both the IFC (Integral Flow Check) and circulator pump cartridge are easily accessed for service and eliminate the need for replacing the entire unit.